Highlights: Culture, people, dress, ornaments, food, mask dances, songs, photography. A cultural bonanza, where the spiritual and the secular blend, this Festival is attended by hundreds of people from Thimphu and the neighboring districts, dressed in their best attires. 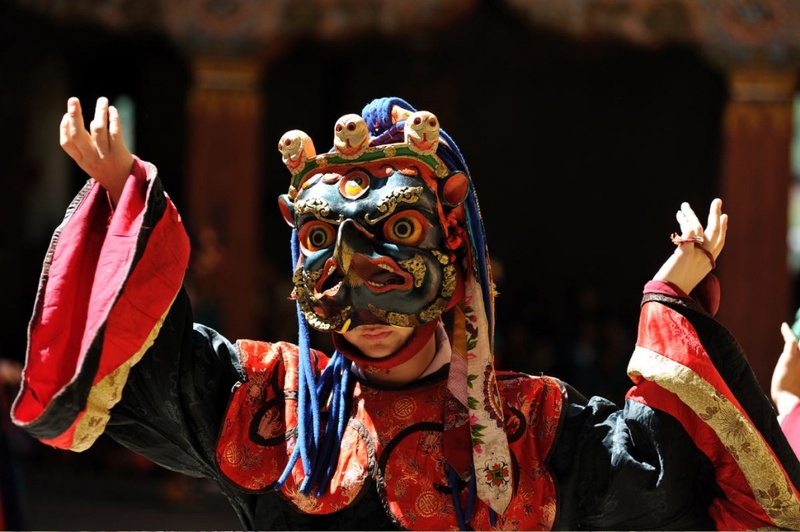 Apart from the mask dances, cultural activities, such as singing and dancing of Bhutanese songs are also part of the Tsechu. Thimphu Tsechu was initiated in 1867, by the fourth Desi, Gyalse Tenzin Rabgay. In the 1950s, the third King Jigme Dorji Wangchuck, Father of Modern Bhutan also introduced some dances. Thimphu Domchoe, which precedes the Tsechu is also very significant. It is observed in reverence to Palden Lhama, Bhutan’s protecting diety.